We’ve recently published an exclusive render of Samsung’s upcoming Galaxy Tab S4 tablet, and Evan Blass aka @evleaks, has just shared two new renders of the device, and an image which compares the Galaxy Tab S3’s and S4’s S Pen styluses. As you can see, there’s plenty of content here for those of you who are interested in getting the upcoming Galaxy Tab S4, and before we dive in, it’s worth saying that both the tablet and its S Pen will be noticeably different than what the Galaxy Tab S3 had to offer, at least visually. First and foremost, it is worth noting that the Galaxy Tab S4 will not sport a physical home button, Samsung is switching to on-screen keys instead, as expected. The Galaxy Tab S4 will also have thinner bezels than its predecessors, but those bezels will still be there, as you need to grip onto something, and it would be rather awkward to use a tablet with bezels as thin as they are on smartphones. In the first image down below, you can see the tablet itself, along with its keyboard cover, which is optional, which means you’ll have to purchase it separately. The device’s S Pen is also shown in the first image, and you’ll immediately notice it’s different than the Galaxy Tab S3’s pen, but we’ll talk more about that in a minute. Two of the Galaxy S4’s loudspeakers are visible in the first image as well, and you can also see the device’s lock screen. The second image in the gallery down below lets you take a look at a different color variant of the device, a Silver model. 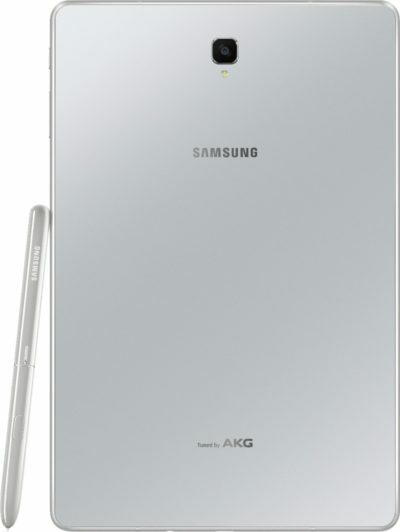 The S Pen stylus is also pictured here, and this image reveals the back side of the device as well, showing its single camera, and an LED flash. You can also see that the Galaxy Tab S4 will ship with AKG audio, which is not surprising, as AKG is now owned by Samsung. The last image in the gallery shows you the Galaxy Tab S3’s and S4’s S Pen styluses, and as you can see, the Galaxy Tab S4’s stylus looks somewhat different, its button is narrower, and the latch is gone. The two styluses seem to be equally tall, though. The Galaxy Tab S4 tablet is expected to become official during this year’s IFA tradeshow in Berlin, but nothing has been confirmed just yet. 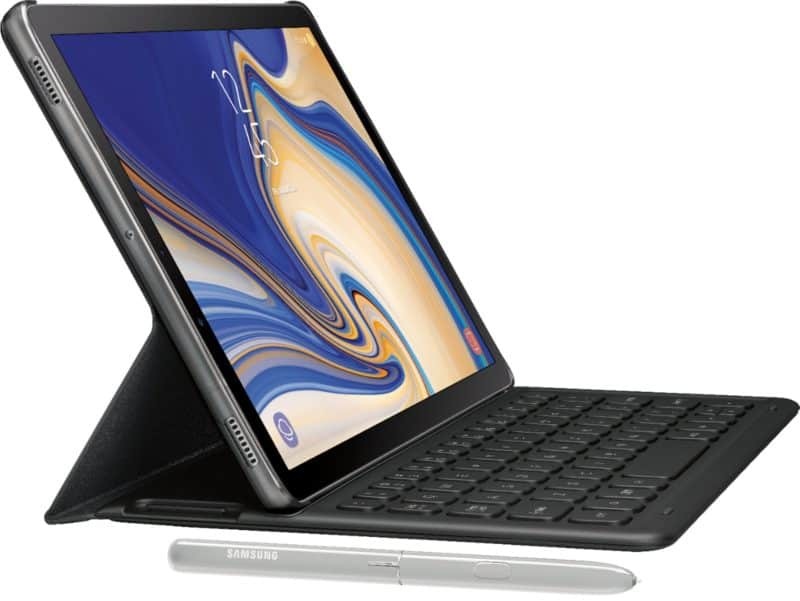 The post Galaxy Tab S4 Leaks With Keyboard Cover & S Pen Stylus appeared first on AndroidHeadlines.com |.